Defined by the American Music Therapy Association, “music therapy is the clinical and evidenced-based use of music interventions to accomplish individualized goals within a therapeutic relationship by a credentialed professional who has completed an approved music therapy program.” In my words, music is used as a tool to address non-musical goals within the context of a therapeutic relationship. The American Federation of Musicians, Local 47, supports an eclectic variety of musicians throughout the greater Los Angeles area. Weddings, services, fundraisers; classical, pop, fiddle; solo, chamber orchestral; recording studios, live night clubs, classic opera houses; you name it, you got it. The mission of the American String Teachers Association is, “to enrich lives through the joy of teaching and playing stringed instruments”. My personal philosophy incorporates providing a strong technical foundation through standard and adapted techniques, providing a structured environment, which allows for flexibility and creativity. 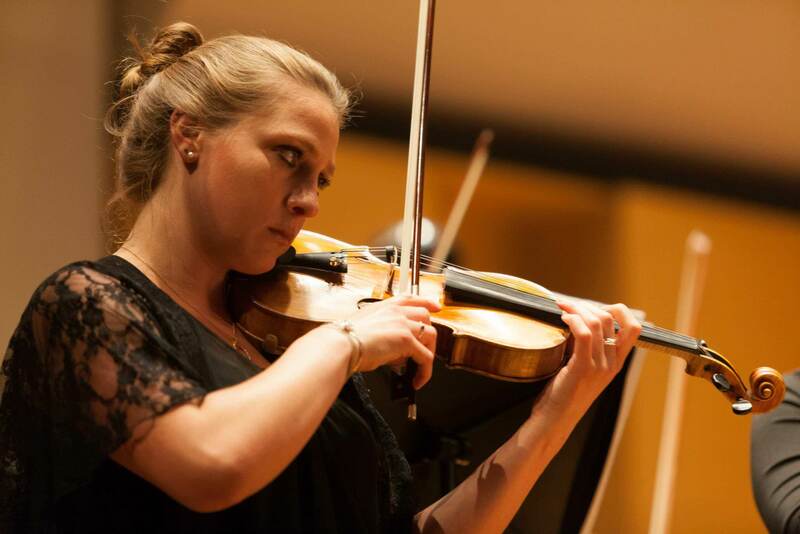 Raquel Ravaglioli graduated University of the Pacific, Conservatory of Music, with a Bachelor of Music in Music Therapy and a Bachelor of Music in Violin Performance. Raquel completed her Master of Arts degree in Creative Arts Therapies, with an emphasis in Music Therapy at Concordia University in Montreal, Quebec. She is a Board Certified Music Therapist, a music instructor, a professional violinist, and the sole proprietor of Raquel Christine Music. Raquel is currently the Director of Music Therapy, Assistant Professor for Marietta College. She has experience working with children, teens, and adults with a variety of abilities, students who have cochlear implants and other socio-emotional needs, trauma induced adolescents, older adult psychiatric patients, adult and pediatric medical patients, and Disabled Veterans of America. Raquel has her training in NICU-MT, GIM Level I, NMT (Neurologic Music Therapy). As a violinist, for 26 years, Raquel was concert master of the University Symphony Orchestra, and attended Brevard Music Center performing with Yo-Yo Ma and Andre Watts. Raquel is also proficient in chamber music, fiddling, contemporary works, pop, and jazz. 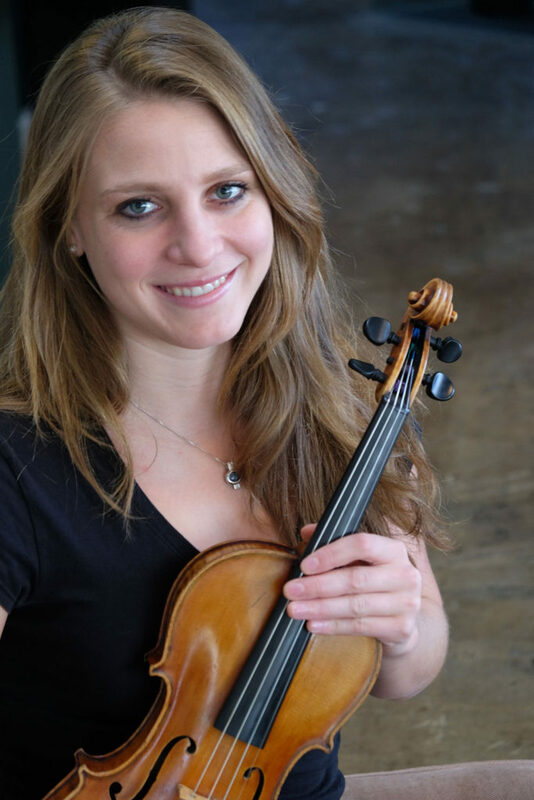 She currently plays in River Cities Symphony Orchestra, Trio in Residence at Marietta College, and has performed around the world in venues including Capitol Records, Sydney Opera House, Walt Disney Concert Hall, Dorothy Chandler, and in Viterbo, Italy. 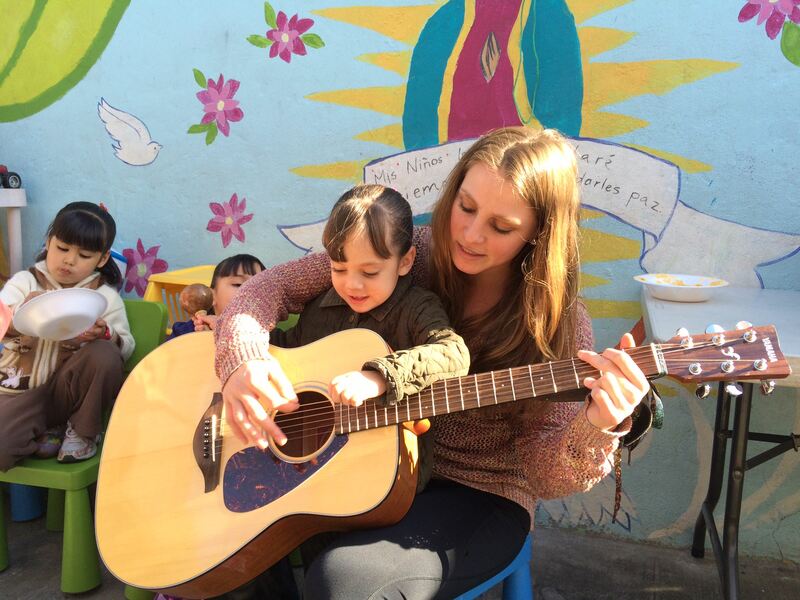 In her spare time, Raquel enjoys being physically active, trying delicious cuisine, and spending time with friends and family, and looks forward to continuing her development as a musician, educator, music therapist, and person in the years to come. Music has played an integral role throughout my entire life. Starting violin at 18 months, growing up with parents who are music educators, finding my passion as a music therapist, and continuous networking in the Los Angeles entertainment scene has shaped my goals as a musician, music therapist, and music instructor. My personal mission is to be a balanced musician and person, while helping others find their personal and musical niche, through building strong professional relationships. "Music is not 'regular vibrations' - as we were told in school by our natural science teachers. Music is a system of signs, a cultural organization of sounds we have to assimilate in order to catch the meaning, a meaning which is tied to the perception of a dual code: of the internal play of signs in music and to the references which links sounds to social and cultural entities, or to private life-words"
To support development and enhance quality of life through the use of individualized music therapy techniques, as well as to collaborate with other professionals to maximize the benefit for each client. I embrace the vision that through collaboration with other professionals, support from family members, intrinsic motivation, a strong therapeutic relationship, and continued research and education in the field of music therapy, each client has the potential to progress toward specific goals and more fundamentally, as a whole. I believe in an integrative, eclectic approach to music therapy for all ages and stages of life in order to best meet each individual in the moment. This allows the therapist to draw from multiple therapeutic models, including behavioral, cognitive, and person-centered. The music therapist must be able to understand the perspective of the client and provide opportunities for empowerment. In doing so, the therapist’s objective is to help create intrinsic motivation in order to allow the client to direct the session within a structured context. One of the most important aspects of music therapy is the therapist-client relationship. In order for a positive transformation to occur, the client must be able to trust and relate to the therapist. Another primary component of music therapy is the music itself. Music is used as the essential element of communication to address the needs of the client, promote self-esteem, improve physical challenges, address the bereavement process, and overall enhance quality of life. Music therapy is multifaceted method of treatment; therefore, it is imperative that the practice continues to be evidence-based. Collecting and analyzing data is fundamental in continuing to recognize the profession of music therapy. I believe it is important to have fun and enjoy the complete process of building relationships, immersing oneself and clients in the music, while encouraging continued research and education to enhance the evidence-based practice. While is not meant for everyone, is usually more effective than not! Violin solo work (with or without piano accompaniment) available. A solo violin is perfect for weddings, memorials/funerals, fundraisers, parties, and other festive events. Whether you're looking for classical, fiddle, jazz, folk, klezmer, catholic, pop/rock, or recognizable classics that all will enjoy, solo violin is the way to go! Please visit contact page for more information on hourly rates. Please visit the YouTube link under contact information for a sample of a classic. If chamber is what you're looking for, you've come to the right person! As a member of the musicians union, local 47 and a native of Los Angeles I will contract any form of chamber music you desire. From classical string quartets to an acoustic pop band, Raquel Christine Music can set you up with the perfect combination. Please visit contact page to request a chamber group for your next event. Member of American Federation of Musicians, Local 47 - Capitol Records recording session - Santa Monica Symphony - Dream Orchestra - Brevard Music Festival - Solo recitals - Solo and chamber music gigs for hire. My teaching philosophy incorporates providing a strong technical foundation through standard and adapted techniques. I believe in a structured environment which allows for flexibility and creativity. 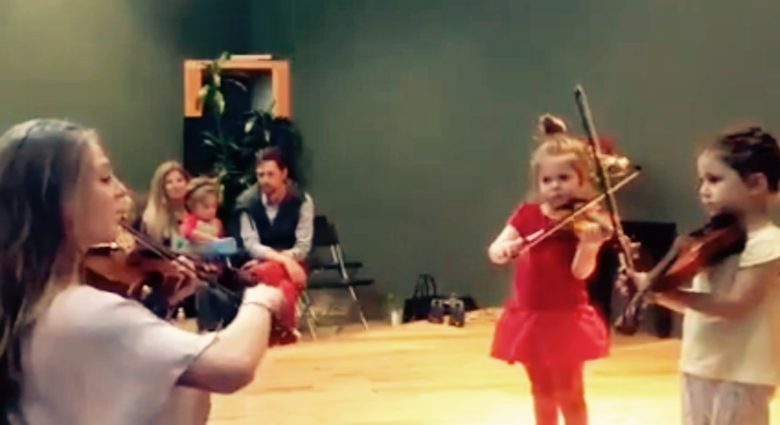 It’s never too early or too late to start an instrument. Starting at age 2, piano or violin is a great place to start! Early exposure to music has been proven to aid in the development of the brain, including language, motor, social, emotional, and literacy. In 1972, the concept of “wait time” was invented by Mary Bud Rowe. This established that when periods of silence following a teacher’s question and students’ completed responses lasted at least 3 seconds, positive responses occurred. Favorable outcomes when giving students 3 or more seconds after a teachers’ question included; increase of length/correctness of responses, scores on achievement tests, and volunteered/appropriate answers, and decrease of “I don’t know”/ “no” answers (R. Stahl, 1994). In music when one is given more “wait time”, it is possible to literally see the student actively processing…and here is the proof! My 4-year-old piano student has just begun learning to play hands-together in C position. As I was pointing to the notes for both hands, I began to see her fingers twitch, and I waited. In just over 3 seconds, both hands played different fingers on each respective note, at the same time. Her meticulous thought process and patience for accurate playing, combined with appropriate “wait time”, provided both student (and teacher) with success. Just minutes later we were on to the next activity, which happened to be reading color coordinated notes using a set of desk bells. She requested to sing the words, read the notes, and play the bells to “Twinkle Twinkle”, specifically without my help. She played and sang until the recap of the theme, “twinkle twinkle little star…” and paused. Again she played and sang, “twinkle twinkle little star…” and paused. The pitch of the notes was not lining up with the words and/or the colors. As I let her process what was happening, she prevailed without assistance. The third time was the charm, she repeated the notes as written! Think time, and wait time allows the student to feel a sense of achievement, independently of the teacher. I encourage music instructors of any age students as well as music therapists for any population to increase your use of “wait time” (or “think time”). Personal process questions: 1) What do you notice yourself feeling in those 3 seconds of waiting? 2) How does more wait time effect your clients/students? 3) If you have other teachers in the room with you, how does this effect your use of “wait time”? 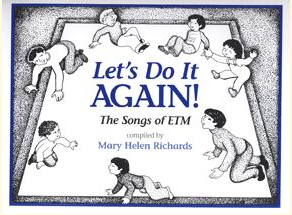 Research based methods of vocalization including singing note names, fingerings, solfege, neutral syllables, and lyrics have been used in pedagogy, effecting performance achievement, aural-visual discrimination, aural recognition, and error detection (Bernhard, 2003). Singing is magic! After only a few times singing the passage, in whatever fashion they choose, the primary problem is no longer existent. Now of course, it won’t last without repetition of singing and playing, singing and playing, and more singing and playing, but it’s still magic! Just try it. At the Creative Strings Workshop, Christian Howes also discusses singing as a form of practice and ear training. Think about the difference between singing then playing and playing then singing. You can sing a jazzy lick like Aretha Franklin, though when you pick up your instrument, it still sounds like Mozart. Bridge the gap between your ear and your instrument through vocalization. Connect with your voice to connect with your instrument. Practice ideas: 1) Sing a fixed note, play a simple melody. 2) Sing the melody, play a fixed note. 3) Sing third above or below in patterns. 4) Sing a baseline and pluck simple chords. Comment below or e-mail me at info@raquelchristinemusic.com with more questions. Once routine becomes comfortable, it can easily turn into what may feel like a “rut”. In regards to music therapy, have you ever asked yourself, “what am I doing?”. Take a step back, take a look at what you’re doing from an outsiders perspective. Step outside of what you’re doing in the moment and really allow yourself to see what’s going on. A personal anecdote: I run three, 1 hour long, adult groups per week, comprised of clients ages 18-46 with mild to severe developmental/physical disabilities. Some goals I have set for the group include autonomy/independence, personal self-expression through music and/or speech, communication with peers, normalization, and overall quality of life. I find myself singing the same songs over and over again because of client preference, or asking the same questions again and again because that’s how the clients and I communicate best…this begins to feel like a “rut” after 6 months (or more) of routine groups. Recently in a group, one client was playing piano, another had chosen the song, capable clients were singing, and each individual was smiling. I took a step back (literally and figuratively). I looked “in” on what I was doing from my own, outsiders, perspective. These individuals were making independent choices; which instrument to play, which song to sing. They were communicating with peers; discussing the song choice, joking back and forth, listening to each other’s voices when speaking and singing. The act of singing provided an outlet for self-expression, allowing the clients to have their own voice heard as well as connecting the group as a whole. Though my guitar was “leading”, I did not feel the need to act as a leader. The group had become cohesive. The music provided each person the opportunity to express him/herself and communicate with peers independently. It appeared that group members had a sense of autonomy and normalization that they may not have the chance to experience in other aspects of life, improving overall quality of life. It’s this perspective, from the outside in, that keeps us routine junkies in check. Never let your mind wander from what the purpose is of each question, move, and sound in music therapy. Quote by Edwin E. Gordon in the National Association for Music Education Journal, Teaching Music, April 2016. 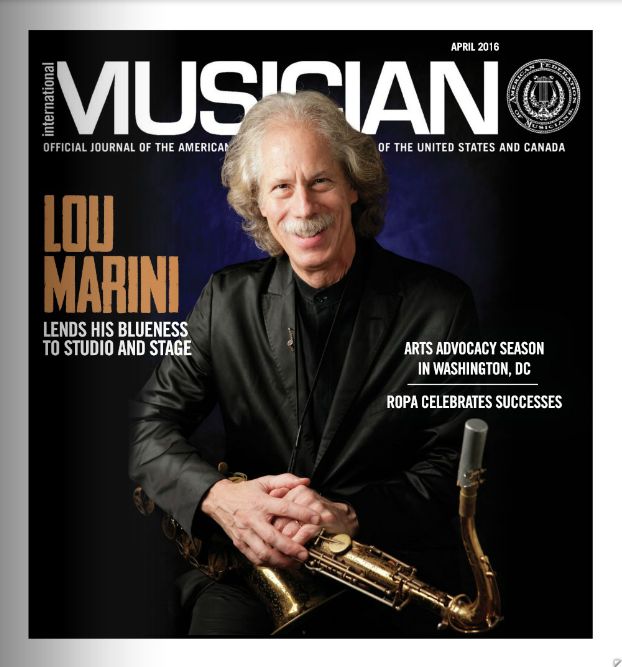 These topics are from the April 2016 issue of the AFM (American Federation of Musicians) International Musician, official journal of the AFM. Ask me more about details for any of topic to increase performance and flow. 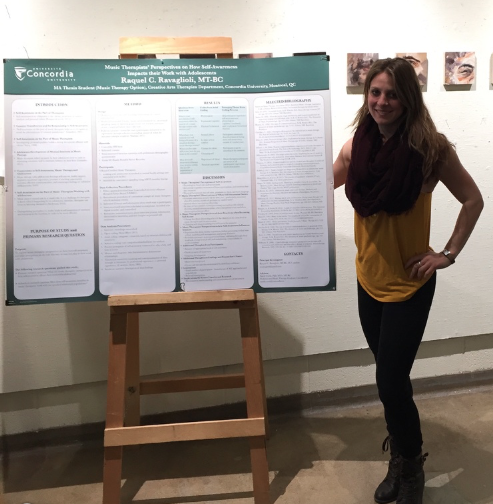 I recently returned from Montreal, Quebec, Canada, as I defended my thesis in completion of the Master of Arts in Creative Arts Therapies, Music Therapy option through Concordia University. "Raquel is not only a gifted musician. She has an extraordinary ability to connect with people. 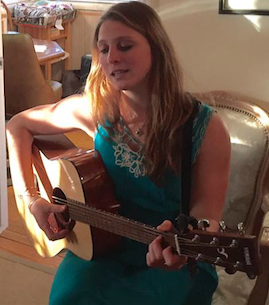 When we invited her to share music with my mother-in-law, who was experiencing the final stage of Alzheimer's, we weren't sure how much would 'get through.' But Raquel played all of her favorite songs from the 30's and 40's. She also stayed incredibly attuned to my mother-in-law, slowing down the tempo as needed, pausing to let her finish a lyric (which she did! ), and offering reassuring touches with her hand. It was amazing to see my mother-in-law light up as Raquel interacted with her. The hour they spent together afforded enjoyment, familiarity, and comfort...those very things that Alzheimer's had robbed her of. For this, we are truly grateful." "It's rare to find a person such as Raquel who at such a young age is as serious a violinist and musician as she is about making a difference in the world through music therapy"
"As a professional, integrating Music Therapy into our Therapeutic learning center helps the children express emotion and formulate social relationships in a way like no other therapy. The children have made so many gains. As a parent, Kristina works on articulation of her words in music and starts out her day with a wonderful exploration of music to set her day off alert and ready to learn. 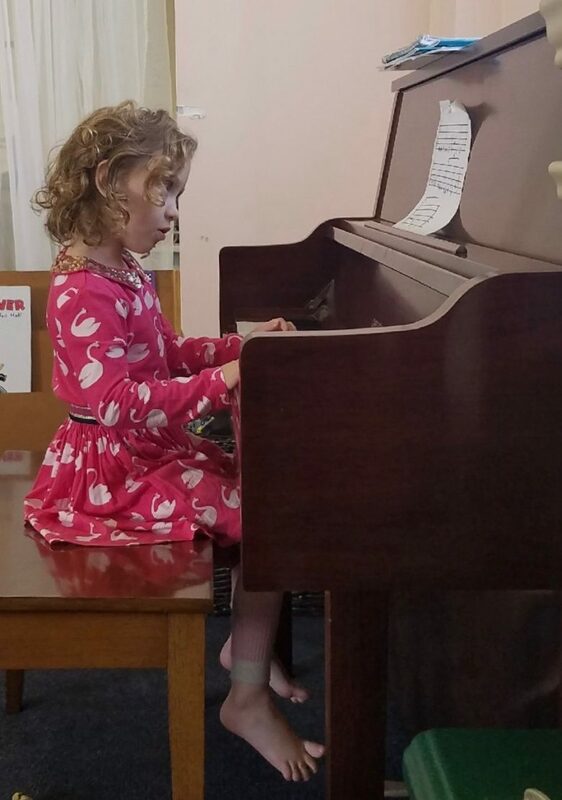 This is so much more than "music" it is a wonderland of exploration using both sides of her brain to expand her opportunities for communication, learning and social relationships!" "I'm most impressed with your poise and confidence...these attributes of course play into your [violin] playing and musicianship."